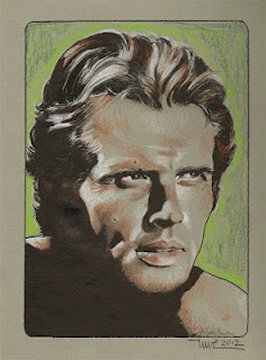 I was doing research on the Internet in late June 2012 when I came upon a beautifully drawn portrait of Ron Ely. I emailed the artist, Uwe Reber, and asked him if it was for sale. 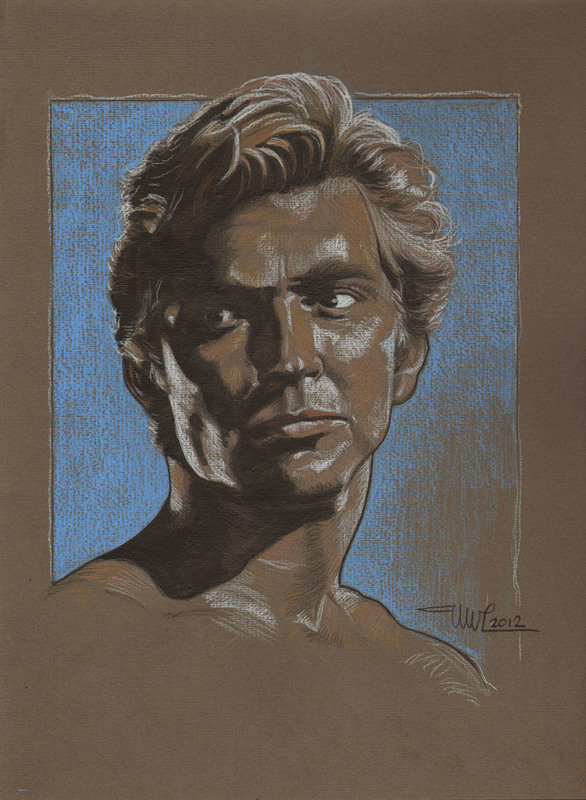 It was not, as it was in his personal collection and his friend Thomas Yeates, whose website he manages, was taking it to ComicCon in San Diego to ask Ron Ely to autograph it. 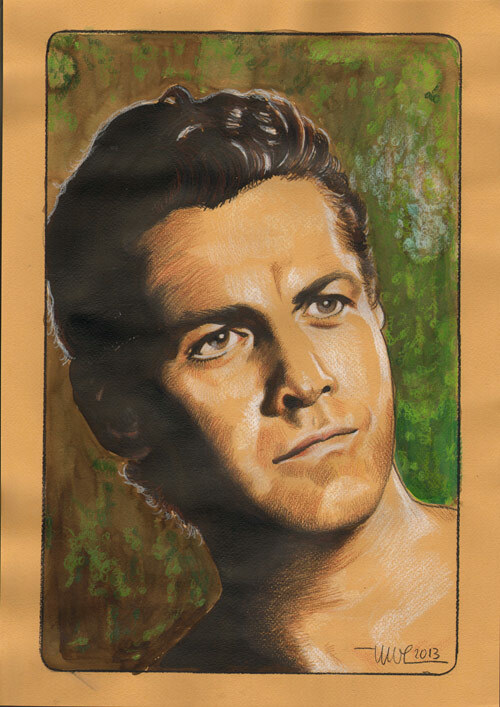 But he offered to draw another Ron Ely portrait for me. My vocation was journalism -- at the time I was a copy editor at a newspaper -- but I long have been interested in art. I recognized Uwe's talent immediately and realized there would be a market for his artwork among collectors in the United States.  I was impressed with the breadth of Uwe's portfolio. 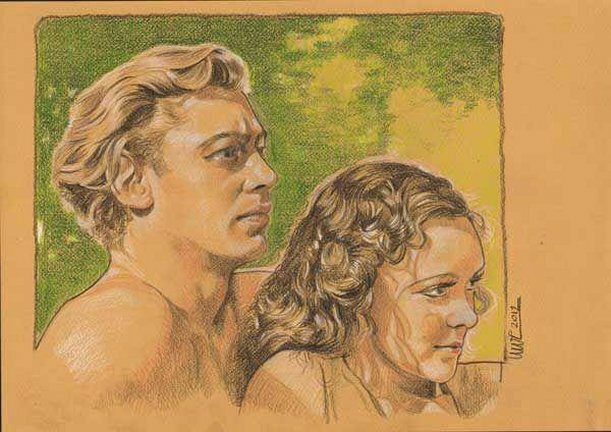 Uwe has been a big fan of Tarzan since childhood. 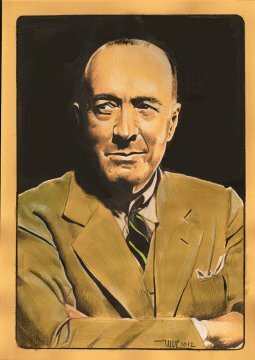 In fact, he was working on a portrait of Edgar Rice Burroughs when I contacted him. I was planning to attend my first Dum-Dum, in California, in six weeks, and I knew there would be a demand for Uwe's art. So I went to a bookstore and looked for information on becoming an art agent. 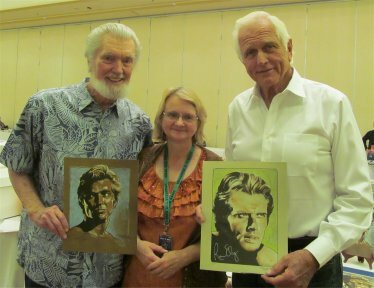 I asked Ron Ely if he would permit us to sell a limited-edition autographed print, and he readily agreed. 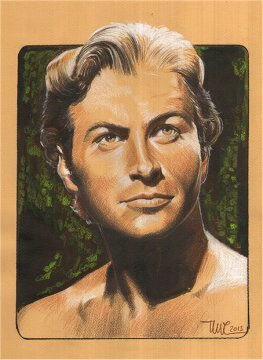 In fact, Ron said that Uwe's portrait of him was the best he had ever seen. Then I approached Uwe about representing him exclusively in the United States. He agreed. 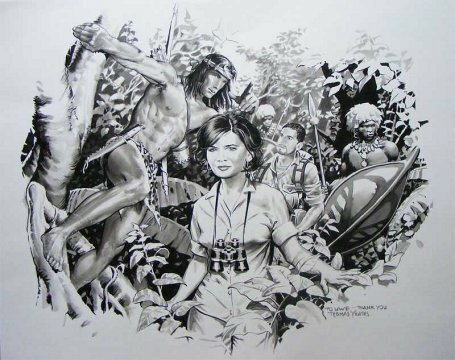 I found a high-quality art printer, legally established Fig Tree Creative Artistry, and made similar agreements with Denny Miller and Edgar Rice Burroughs Inc. to sell limited-edition prints. Brian Bohnett designed a logo for Fig Tree. I solicited input from art experts, launched a Facebook page, www.Facebook.com/FigtreeCA, and Uwe created a website, www.uwereber.com to showcase his art. On June 24, 2012, I had never heard of an art agent. Within a month, I was one. And, I have been told, the only one between Philadelphia and Pittsburgh. Weeks later, I was off to California to sell art for the first time. Although original art did not arrive from Germany in time for the 2012 Dum-Dum, Uwe's prints were well-received. We quickly sold prints to collectors throughout the United States and in France and the Netherlands. 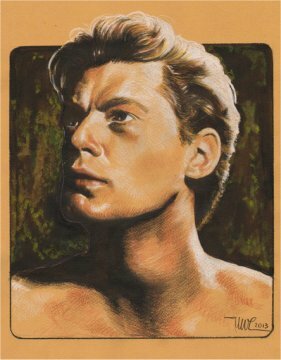 In 2013, Uwe Reber and Fig Tree Creative Artistry released a limited-edition print of Johnny Weissmuller, with permission from his estate, for the Dum-Dum in Louisville, Ky. In addition, Uwe added original portraits of Taylor Kitsch (John Carter), Gordon Scott and Lex Barker to his portfolio. 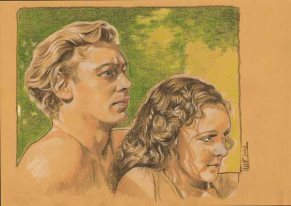 "It's a great thing for me to see my Tarzan art officially published and get good response from fans and collectors and the Tarzan actors, too," Uwe said. 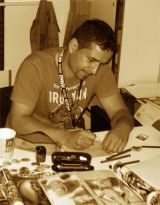 Uwe also draws portraits of film stars, musicians and science fiction characters and takes commissions. 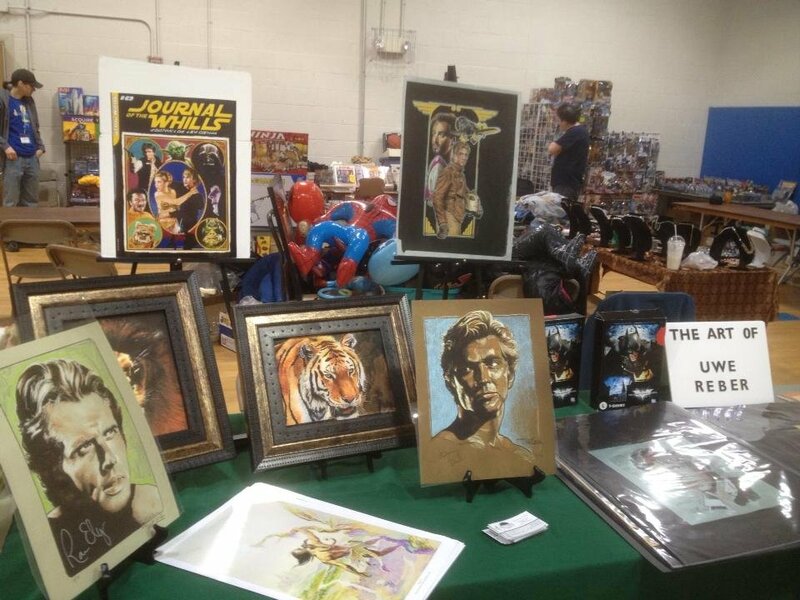 He recently expanded into the baseball world, with oil pastel portraits of Phillies stars Cole Hamels and Chase Utley. Uwe donated a portrait for a charity auction by The Hamels Foundation. Uwe uses mixed media for his drawings and recently has started using oil pastels extensively. These are larger, vibrant works, and Uwe is looking forward to using the medium to expand his portfolio of ERB subjects. Meet Uwe Reber Artist Uwe Reber was first inspired by photorealism, but his work shows a variety of influences, including Impressionism and Pop Art. 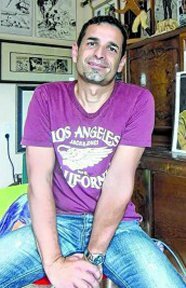 A self-taught artist, his preferred medium is colored pencils, but he also works with ink, watercolor, oil pastels and soft pastels. Portraits are his specialty. He paints impressionistic Western scenes in pastels and is continually adding new genres to his body of work. He is currently working on large, oil pastel portraits in a Pop Art style. A web designer and published illustrator, Uwe lives with his wife and their two children in a small town in Germany. His interests include nature, movies and reading. 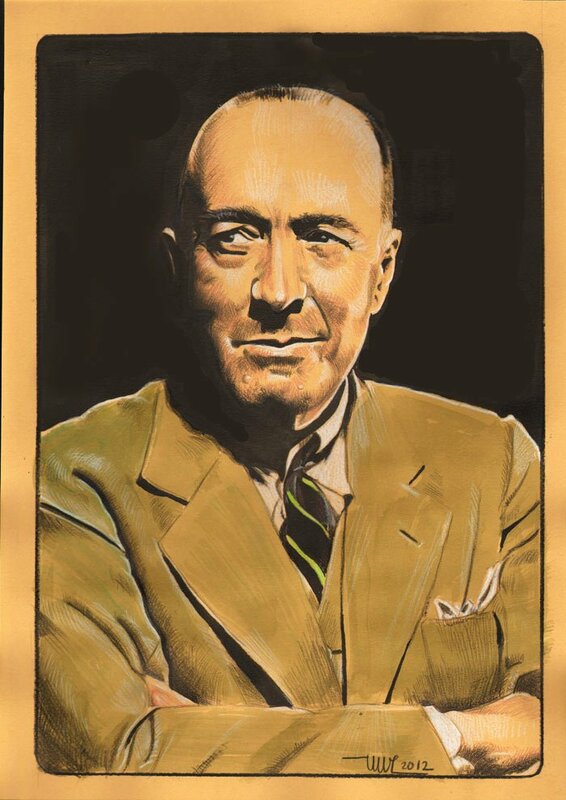 that launched my business. .
ERB Inc. approved the sale of prints. 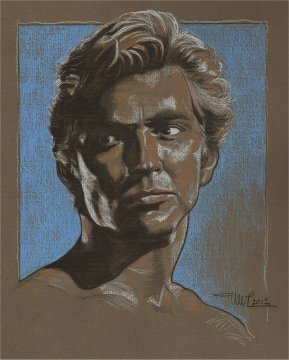 The limited-edition print of Denny Miller. 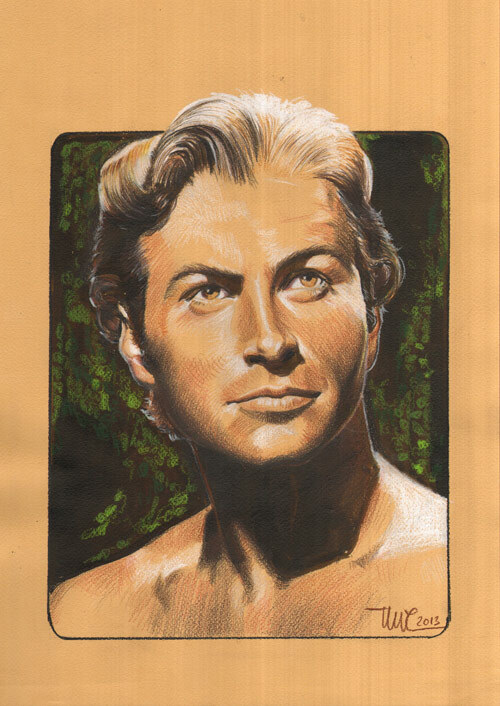 An original portrait of Lex Barker . 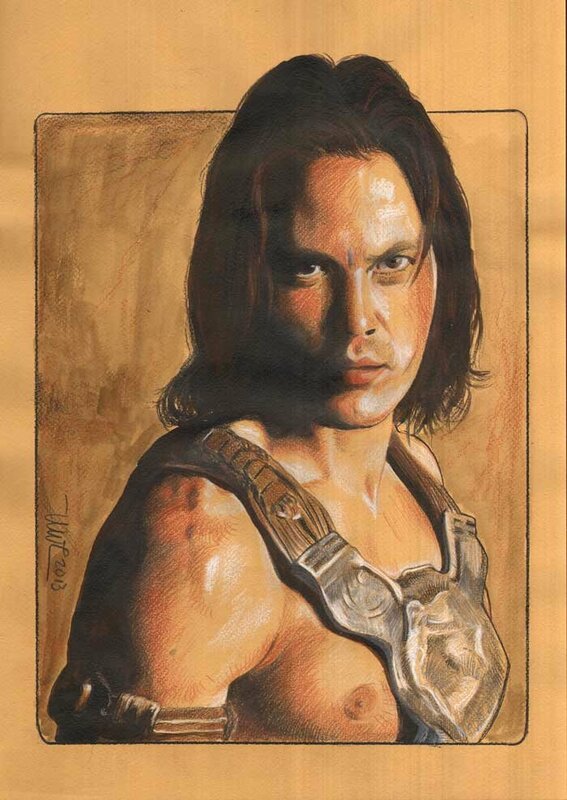 Taylor Kitsch as John Carter . Weissmuller and O'Sullivan original .